Throughout 2014 some of the biggest names in ViPR from around the world have been behind the scenes supporting you. Introducing our global educator team: Jenny Burrell, Adam Daniel, Jake Duhon, Pete McCall, Steve Powell, Steve Rast, John Sinclair, Bill Sonnemaker, Steve Tongue, Matt Truscott, Pontus Warnestal and Tommy Yau. The team have been hard at work writing, blogging and vlogging articles designed specifically to support your continued education with ViPR. 2015 will see a new blog or vlog posted by our educators every week, along with one comprehensive article each quarter. You can look forward to lots of exciting, thought-provoking and inspirational information. 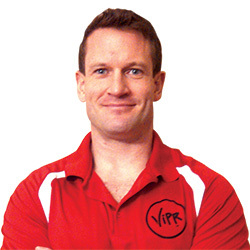 John Sinclair will kick off 2015 with his article on play and games with ViPR.